- Component Thickness to be ground: 1 – 35 mm Max. - Component Width to be ground: 10 – 90 mm Max. - Fully automatic double disc grinders for spring end grinding. - Special designing care to manufacture loading plates for end grinding of springs to achieve high accuracies in parallelism and perpendicularity of ground surfaces. 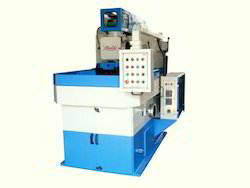 Customers can avail from us a premium range of Double Disc Grinding Machine, so we are offering this product in bulk. - Thickness held as low as .003mm or ±.0001"
- Parallelism held as low as .001mm or .00004"
- Flatness held as low as .001mm or .00004"
We are a reputed entity in the industry, actively engaged in offering an optimum quality range of Double Disc Duplex Surface Grinding Machine. We also provide Face Grinding Machine and Valve Seat Grinding Machine. 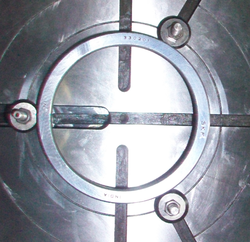 - Horizontal type with wheel diameter of 300*50*127. Application: Metal Wood Fiberglass Laminates. - Galvanized steel panels with powder coated. - Heavy duty , high capacity, low noise plug fan. We are engaged in manufacturing, exporting, supplying and trading a wide variety of products like double disc grinder.